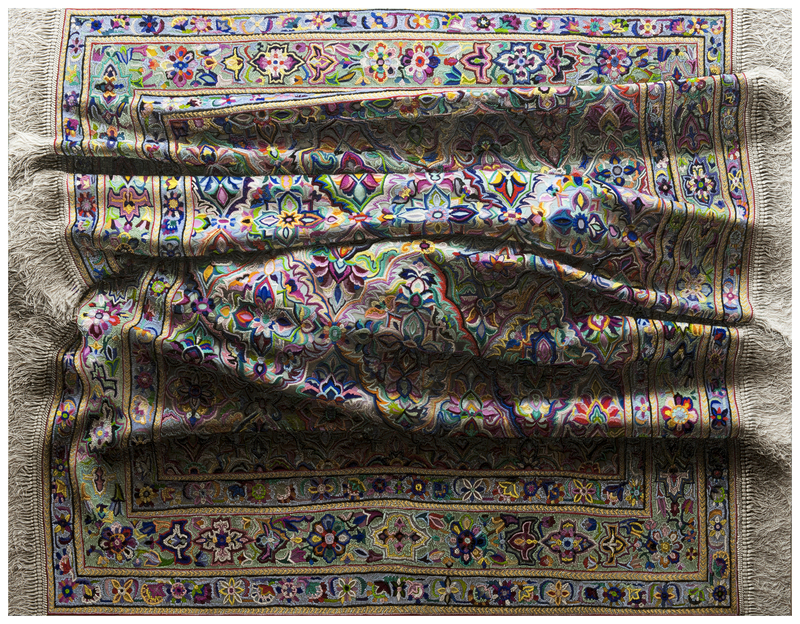 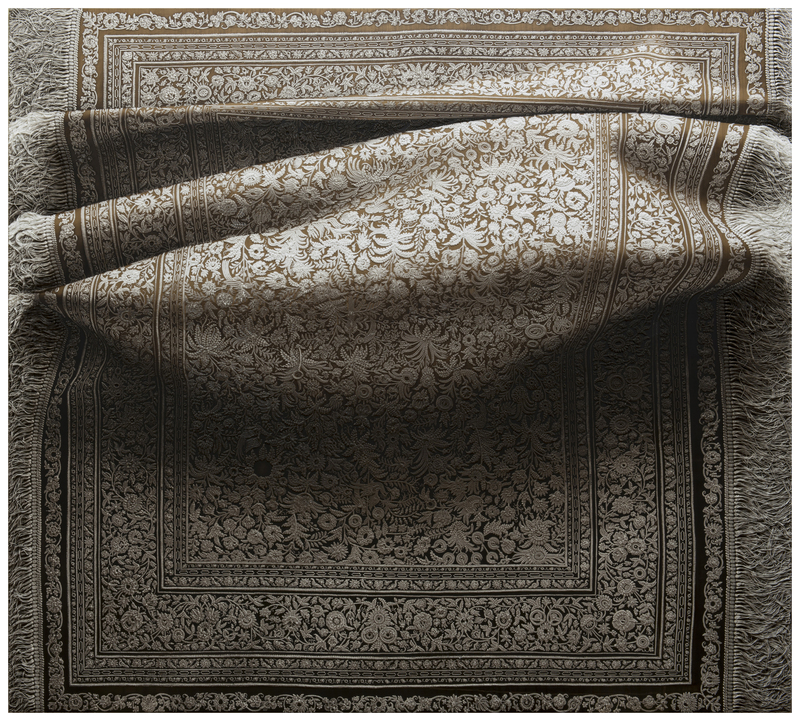 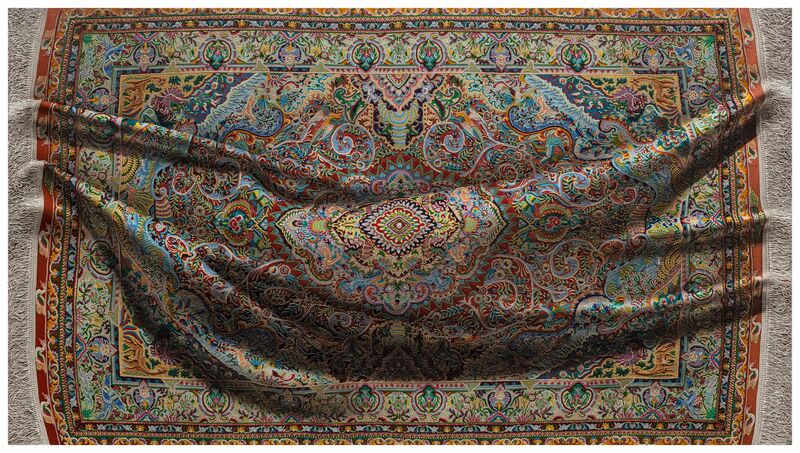 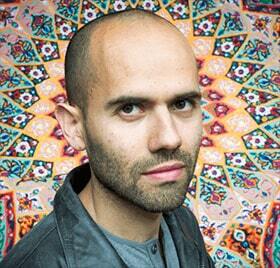 Antonio Santin (b. 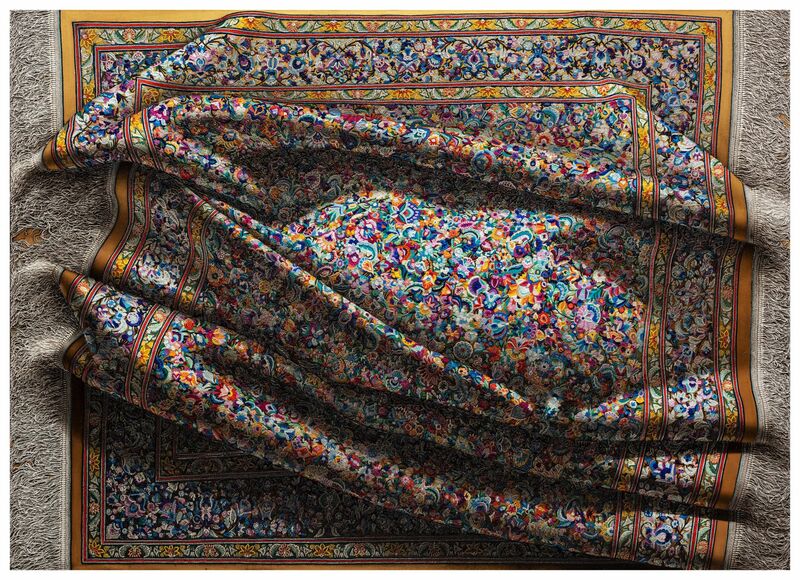 1978 in Madrid, lives and works in New York) is known for his hyper-realistic, dramatic paintings depicting skillfully executed ornamental tapestries. 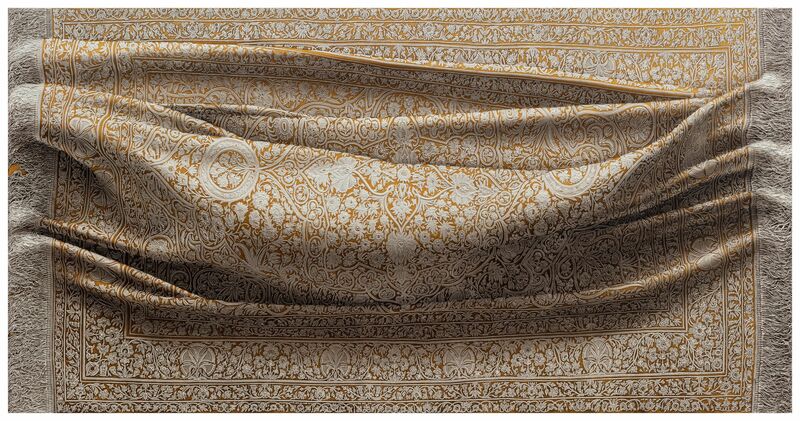 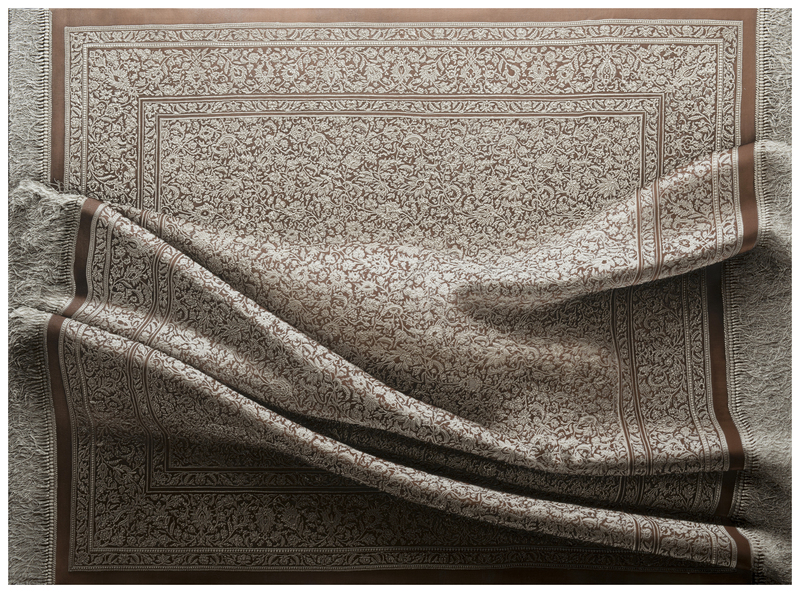 Santin’s paintings – including his earlier, large series of portraits – seem to be the results of the forces of light and dark, of the visible and the hidden. 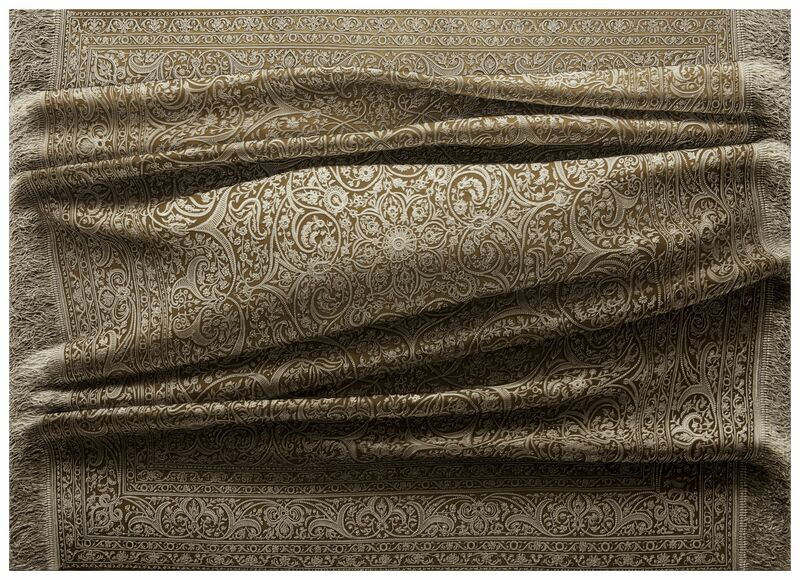 Similar to the techniques of tenebrism and chiaroscuro that the famous painters Caravaggio and da Vinci introduced to European painting in the 15th and 16th century, Santin is able to depict dramatic scenarios not only of human expression but even of textile folds – the latter with a humorous lightness. 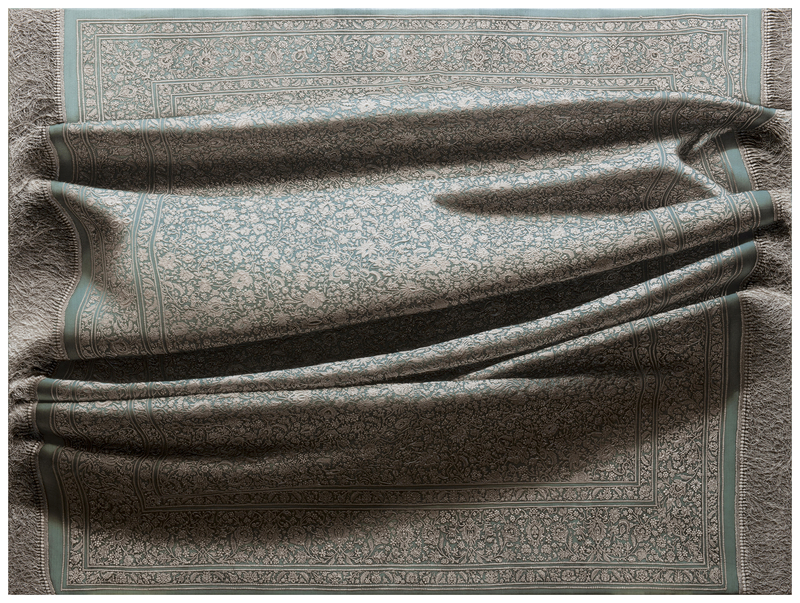 He creates a visceral tension between surface and space with a range of techniques that incorporate both the technical foundations of classical painting and unexpected alterations to the qualities of oil paint to re-assemble the sensory experiences of everyday life.